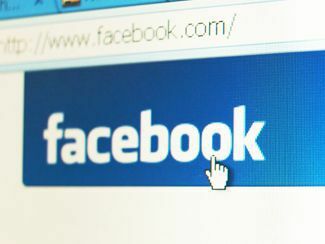 SHOULD JUDGE'S DISCLOSE FACEBOOK FRIENDS? Judges have to be judicious when using social networking sites, according to an ABA ethics opinion. The Feb. 21 opinion by the ABA Standing Committee on Ethics and Professional Responsibility acknowledges that "judicious use" of electronic social media—referred to as "ESM"—can be a valuable tool for public outreach. "When used with proper care, judges' use of ESM does not necessarily compromise their duties under the Model Code any more than use of traditional and less public forms of social connection such as U.S. Mail, telephone, email or texting," according to the opinion. The opinion discusses factors for judges to consider when using social media. Judges and judicial candidates are barred from publicly endorsing or opposing candidates for public office. As a result, judges should be aware that clicking a ‘like" button on political campaign sites could be perceived as an ethics violation, the opinion says. Judges should not form relationships with persons or groups that may convey an impression that these people and entities are in a position to influence the judge, the opinion says. Judges also should take care to avoid comments or interactions that may be interpreted as ex parte communications concerning pending matters. And they should avoid using social networking sites to obtain information about matters before them. Judges who have contacts with lawyers or parties in pending matters must evaluate whether the relationship should be disclosed. "In this regard, context is significant," the opinion says. "Because of the open and casual nature of ESM communication, a judge will seldom have an affirmative duty to disclose an ESM connection. If that connection includes current and frequent communication, the judge must very carefully consider whether that connection must be disclosed. When a judge knows that a party, a witness, or a lawyer appearing before the judge has an ESM connection with the judge, the judge must be mindful that such connection may give rise to the level of social relationship or the perception of a relationship that requires disclosure or recusal." Judges should also be aware that their comments, images and profile information may be transmitted without their knowledge to others. If the material proves embarrassing, it has the potential to undermine public confidence in the judiciary and to compromise the independence of the judge, the opinion says.